The Financial Consumer Agency of Canada is seeking to educate individuals who don’t understand how credit reporting works. Credit reporting agencies track how an individual uses credit, like credit cards or loans, and how that person pays bills. This information is used to create a credit report and credit score. Landlords in turn use this information, just like lenders and employers, to see how an individual tends to manage financial obligations. Yet many individuals do not understand the benefits of maintaining good credit, like lower interest rates, or better access to rental housing. Likewise, many do not understand the lasting negative impact bad credit has on their lives. Unfortunately, once negative information appears, it may remain on their report for six or seven years. Rental applicants with bad credit scores can visit the FCAC website to find help for restoring their credit, and others can learn how to better maintain their good credit. For example, individuals are told to check their credit report at least once a year. Doing so will not hurt their credit score. “Think of it as an annual checkup for your financial health,” says Commissioner Menke. Making rent payments on time, and paying at least the minimum balance on all outstanding loans or credit lines on time is required to maintain good credit. 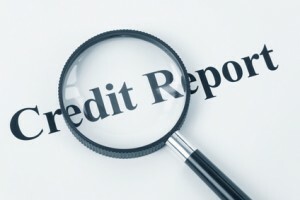 Individuals can ensure the accuracy of their credit report by checking carefully for errors. A routine check will also reveal whether they have been the victim of fraud. The FCAC provides a tip sheet, Protecting Your Credit Report: How to Correct Errors and Check for Fraud, that outlines the steps an applicant can take if they have questions about the information in their credit report. The website also hosts two Tip Clips on its YouTube channel to help consumers find out more about credit reports and how to protect themselves from fraud. You can reach FCAC’s Consumer Services Centre by calling toll-free 1-866-461-3222 (TTY: 613-947-7771 or 1-866-914-6097) or by visiting itpaystoknow.gc.ca.